Mexico and the United States are close to finalizing a preliminary agreement on a new North American Free Trade Agreement (NAFTA), which would let the third partner, Canada, sign on to the agreement, Mexico's lead negotiator said Wednesday. 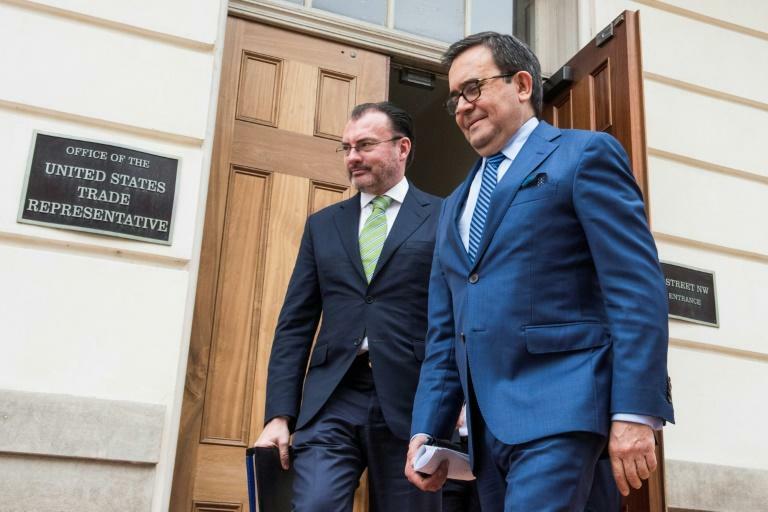 Mexican Economy Secretary Ildefonso Guajardo said he hoped to conclude "in the next few hours or days" bilateral talks with US Trade Representative, Robert Lighthizer. The talks were going into their fifth week between the two sides in Washington. "It could be that we end everything between the United States and Mexico this week," told reporters Jesus Seade, delegate to the NAFTA negotiations of Mexican President-elect Andres Manuel Lopez Obrador, who also is in the talks. "Canada has yet to come on board, we must not rush, but we are already close," he added, noting that difficult issues that were planned to be dealt with are being addressed. Among them, he mentioned the thorny "extinction clause" proposed by the United States. It would force the treaty to be reviewed every five years. Both Mexico and Canada oppose that. Seade said he was optimistic about reaching a new NAFTA before the self-imposed deadline of August 29. The United States and Mexico are keen to seal a new deal before Mexican President Enrique Pena Nieto hands over power to Lopez Obrador on December 1, and for that to happen, the US Congress must be notified 90 days in advance. Canada's top diplomat and chief NAFTA negotiator, Chrystia Freeland, said she was encouraged by the progress reached. The three countries have been negotiating for a year to save the free trade agreement that US President Donald Trump considers disastrous for his country. NAFTA has been in effect almost 25 years. Guajardo and Lighthizer began meeting at the end of July after negotiations between the three partners stalled in May.